Please check your spam filter for our email (Influential People Magazine) & confirm to Sign Up. Are You a Woman Aspiring to be a Leader? Are you out of your mind? What kind of a mother are you? 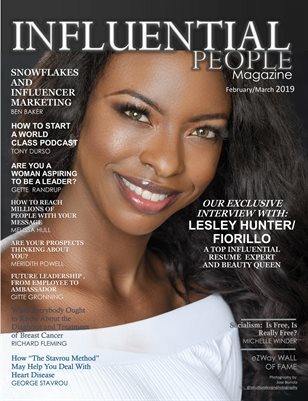 Get the Free Digital Magazine, news, update, & etc.. from varieties of people who are making an enduring impact on people lives around the world. DO YOU WANT TO LEARN MORE TO IMPROVE YOUR BUSINESS? Get the insight, strategies, and tools you need to lead and drive your business to the next level. DO YOU WANT TO LEARN MORE TO IMPROVE YOUR PERSONAL LIFE? Want to learn more. The extraordinary life you want is within your grasp, but you need more clarity and focus to achieve it. Undoubtedly, the best and fastest way to obtain a world-class podcast is to do a full-scale Vision Map™ as outlined in previous magazine editions. His new movie "The Wishman" is coming out in October 2018, a movie based on his journey starting the "Make A Wish" foundation..
Frank is one of the top 10 most influential person to know according to Influential People Magazine. He is number one on our list,.having made an enduring impact in the lives of sick children and adults around the worlds, where everyone can be a hero..
Coming soon. An TV show that host influential people and Invisible Heroes who are making enduring impact on people lives around the world. You are invited and welcome to visit our group pages to follow up, check on up coming news with us and our journey. How to Reach Millions of People With Your Message..